Technology is now showing up in the most unusual places, from touch-screen tables at a restaurant to the ability to print running shoes using a 3D printer. It can no longer be denied that the world today is seeing an unprecedented penetration of technology. Disclaimer: This post is sponsored by Criteo. Technology is now showing up in the most unusual places, from touch-screen tables at a restaurant to the ability to print running shoes using a 3D printer. It can no longer be denied that the world today is seeing an unprecedented penetration of technology. All this technology is changing consumer mindsets and consumption patterns. It is with no surprise then that the world of online advertising has been and will continue to be impacted by technological advances, challenging the way brands interact with consumers. According to ZenithOptimedia, the internet in 2013 surpassed newspapers to become the world's second-largest ad medium, behind TV. And with the internet expected to account for 26.6% of global ad spending in 2016, it’s clear that the advertising industry is shifting towards a digital environment where buyers get access to inventory based on a scalable financial model, while efficiently and effectively engaging and converting their customers. 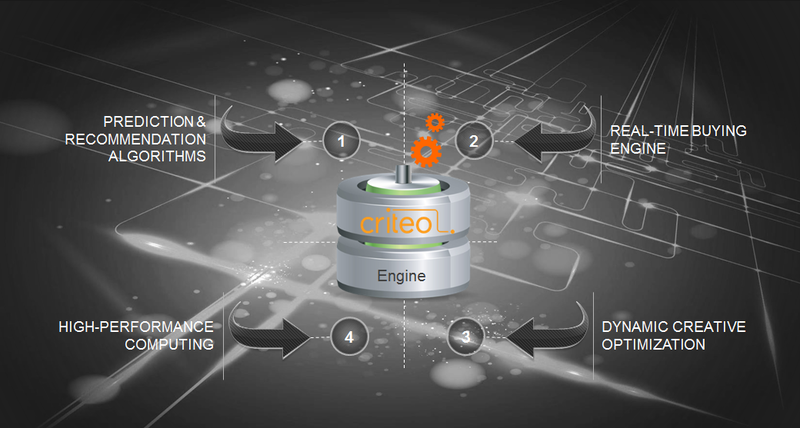 At the core of the Criteo Engine lie our proprietary predictive algorithms based on machine-learning. They allow us to decide in real-time which specific product, among millions, is the most relevant for a particular person. Because our clients integrate our solution deeply into their platform and customer relationship management (CRM) systems, we’re able to access very precise shopping intent data in real-time. This includes specific product pages viewed, shopping baskets, checkout patterns and detailed sales history of each consumer who interacted with our clients’ platforms. We collect this non-personal data at a scale which is truly massive. As of year-end 2013, we observed more than 100 billion of unique product searches and over US$200 billion worth of sales transactions. In parallel, we analyze in real-time our own dataset from how consumers interact with our display banners. This includes context of each impression, bid intensity, pricing levels, placements, banner formats, clicks and post-click level of engagement. Finally, we combine the massive granular shopping data with our proprietary data to build statistical models based on sophisticated machine-based learning patterns. Our real-time buying technology recreates the model that made search marketing such a success. The return on investment we deliver is similar, and sometimes greater, to what e-commerce and brand marketers have been used to through the search marketing channel. What’s more is that we’re able to serve this performance across all devices, whether consumers are on a desktop, a laptop, a tablet or a smartphone. The most evident element of our search-like business is our Cost per Click (CPC) pricing model. This is exactly the way marketers have been buying search marketing for over 10 years. We bring the performance and pricing model of search marketing to display. More importantly, our CPC model is unique in a display advertising market where the dominant model is still cost per impression or cost per 1000 impressions (CPM). We recognize that a meaningful customer journey today is defined by customization at the core of the consumer experience, so it’s important to us that we deliver not only the right ad, but the very right product to the right person at the right time. Our dynamic creative optimization engine allows us to customize in real-time the content, as well as look and feel of each individual banner, on the fly. For example, it’s not about just showing you a banner from a specific online travel company. It’s about showing you a specific offer for, say, a Langkawi trip at a specific price, with a specific hotel category and a specific look and feel. This unique full personalization is critical to maximizing consumer response. So if we showed Malaysia instead of showing Langkawi, the level of engagement of this specific consumer in this specific context would likely collapse. Importantly, once someone clicks on the banner, the person does not go to the online travel company’s general website. He or she will land directly on the right product page, one click away from check-out and purchase. This dynamic deep-linking dramatically maximizes conversion rates. While our clients who are connected to our platform can place 24/7 CPC bids in real-time, very much like they do on search marketing interfaces, publishers sell their inventory in real-time through our platform with a CPM model. This means they get paid whether or not that impression led to a click. Impression per impression, a real-time auction decides which client wins each bid. At the scale we operate, executing all the above can be incredibly complex. For this reason, we have heavily invested in high-performance computing infrastructure, which combines flexibility, reliability and scalability. We own over 6,000 servers in six data centers on three continents and our infrastructure is built on 160-node Hadoop clusters. In peak time, our platform is able to manage up to 500,000 ad requests per second. Displaying a personalized banner with a unique product, price and look & feel takes only six milliseconds. And we display billions of banners every day. Every second, our platform processes hundreds of thousands of bids and delivers a highly personalized banner for each individual impression. Not only do we already operate at very large scale but our current architecture is designed to increase and sustain our scalability for many years to come. Without a doubt, technology forms the very core of our DNA, what with nearly half of Criteo’s workforce worldwide comprising engineers. 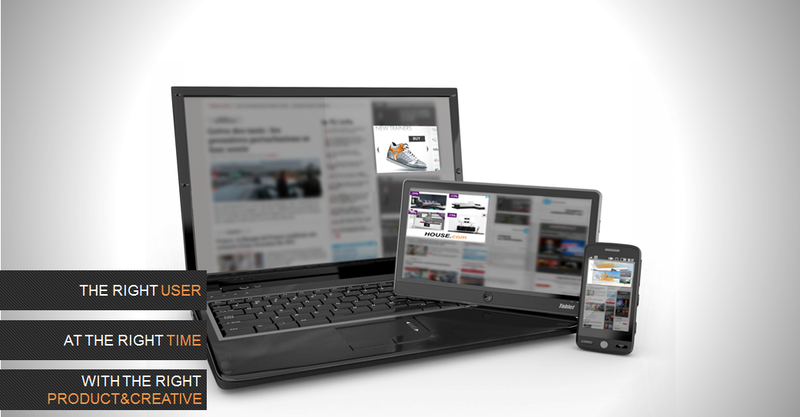 We are continuously enhancing our technology to more specifically address needs of brand advertisers today. For example, we just recently announced the beta release of our mobile in-app performance display advertising solution and the acquisition of Tedemis, a leading provider of real-time opt-in personalized email marketing solutions. Criteo is now uniquely positioned to provide a comprehensive multi-channel performance marketing solution that can help advertisers target and deliver relevant ads to customers who want to reach more customers locally, regionally and globally across all devices and channels. We believe that technology can play a key role in helping companies in a way that can ultimately drive business growth. We’re definitely excited to see how our industry can continue to leverage cutting-edge technology to impact brands, publishers and consumers positively. Limited Offer: First 5 clients to launch Criteo campaign will be pre-loaded with advertising credit worth $1000. Please contact SalesAPAC@criteo.com for eligibility and details. This article is written by Yuko Saito, Managing Director of Criteo Southeast Asia.